"Respect the old when you are young. Help the weak when you are Strong. Confess the Fault when you are Wrong. 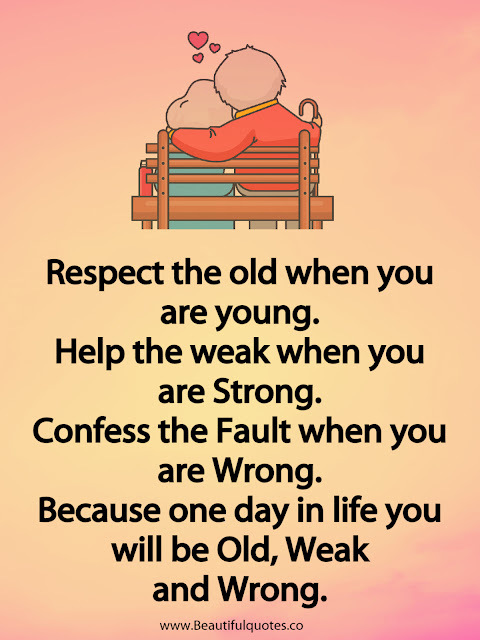 Because one day in life you will be Old, Weak and Wrong."